If you’ve been to Comino, you might be familiar with how crowded it gets during peak hours. 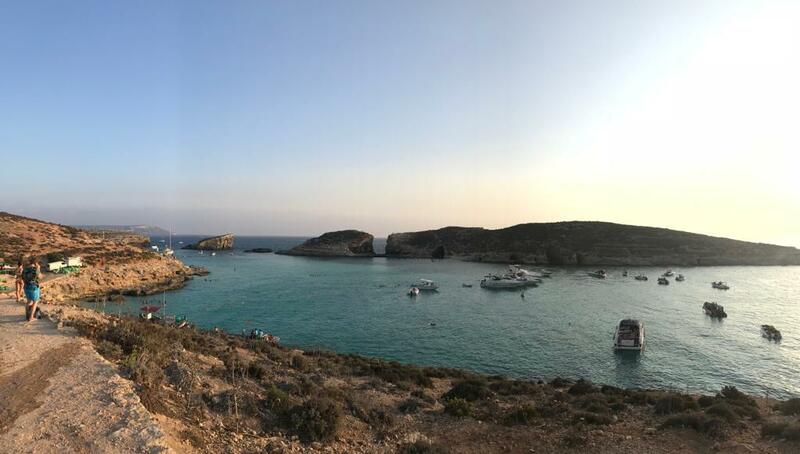 Finding a spot becomes quite a task, and while some might enjoy the big crowds and the party vibes, there are a few others whom would love to enjoy Comino’s greatness in a different way. 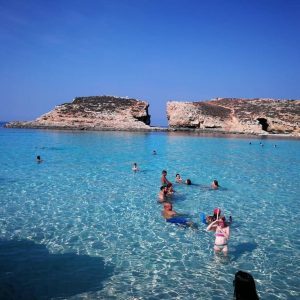 If you’re one of us, we got you some real insider tips, like how to catch the ultimate Comino sunset, how to enjoy the Blue Lagoon all to yourself, and all you need to know about spending a night in Comino under a sky full of stars. 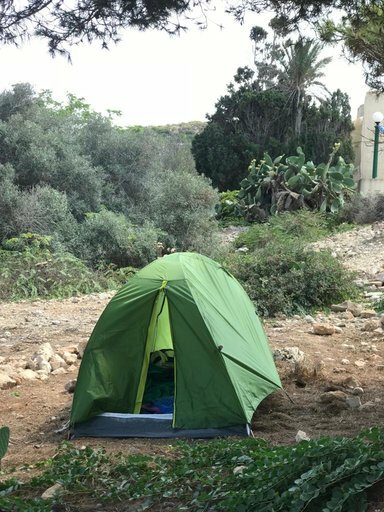 When we first heard about camping in Comino, we knew it was our chance to experience The Blue Lagoon like never before. We hopped in a boat in Marfa and paid 15 euros for a round trip for Santa María Bay, which is only a 20 mins walk away from the Blue Lagoon. Departures to Blue Lagoon and Santa María are available from 9:00 am until 3:30 pm, every 30 minutes, while returns are available hourly. The trip is smooth as it can be and the staff will help you carry your belongings to the beach. Once there, we were delighted by Santa Maria’s Bay. Camping in Santa María is a safe experience even if you are new to camping, as you will find everything you need at your disposal. There’s a camping zone with food trucks, BBQ grills, showers, and umbrellas you can rent. You can watch one of the most awe-inspiring sunsets ever at 6 pm or so and stay until the sun is gone, unlike regular visitors. You can enjoy the Blue Lagoon early in the morning before 9 am, all to yourself. Comino is also gorgeous at night. Staying under the stars is a unique and charming experience. Remember to gather your things, and keep the beach clean. If you’re a student or someone who wants to experience Comino under a different light, camping in Santa Maria’s Bay is just what you need. 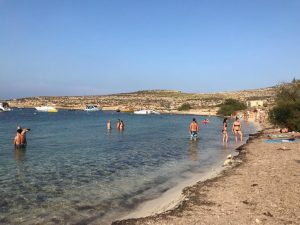 Unlike other beaches in Malta, you won’t require a special permit to camp there, and it’s a low-budget option with an invaluable reward.